Will Rogers once said, “You never get a second chance to make a first impression.” The same can be applied to your home. What impression does your home give? And moreover, what if you got a second chance to make a first impression We here at DBS are always looking to give our clients simple home improvement tips & tricks, from interior to exterior. And, home improvements go hand-in-hand with first impressions. So, we ask, what’s your home’s first impression? Is it cozy & inviting, innovative & minimalistic, quaint & rustic? Or is it outdated & boring? There are plenty of ways your home can make a great first impression without breaking the bank. You can add some much-needed curb appeal (read more about adding curb appeal here.) Or, you can simply paint your front door. Seems simple enough, right? Red: A red-colored door is classic; bold, yet timeless. If your siding is white, you can play with how bright or muted you want the hue to be. 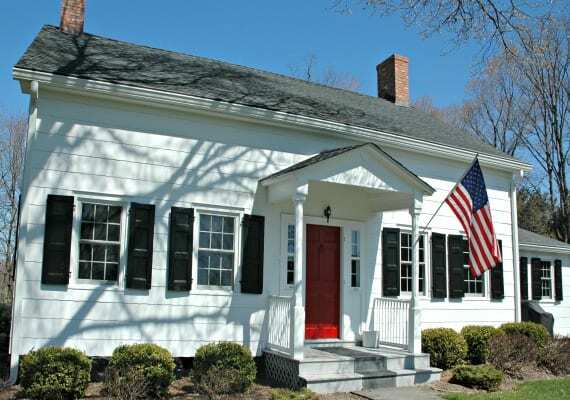 A bright red can work great against brick siding if the door itself is traditional in style. Merge traditional & bold together with brass finishes. Army Green: Green can be complementary to the greenery of your yard. This color works well with neutral siding, and accents brown/tan stone nicely, especially on homes with a stone facade. Caution: this shade may result in neighbors being green with envy! Blue: Blue is an extremely versatile color. A bright indigo stands out great on a cottage home, by fusing together modern with traditional, while a light-ocean blue gives a pop of color to a taupe siding. 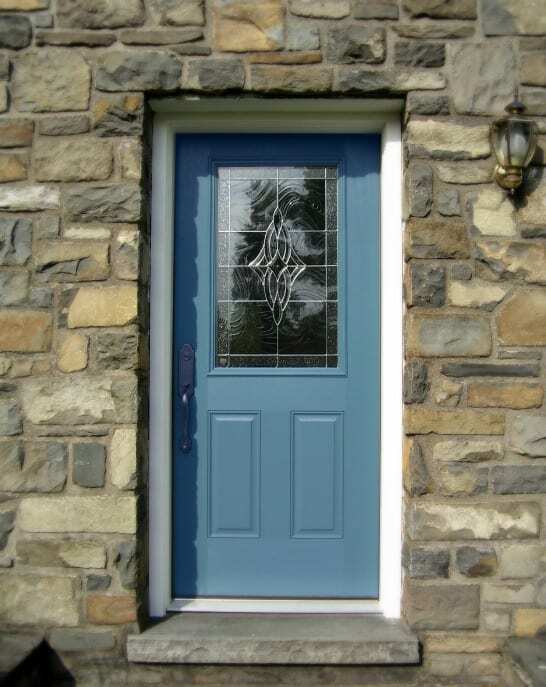 Whether your home is a Craftsman or Mid-Century Modern, a blue door can add just the right amount of color to your home’s exterior. Get samples of different shades of blue, and figure out which hue is best for the style of your home. Rain-bold: No, not every shade of the rainbow, but something bold! If you’re up for the challenge and want something unique, yellow it is! While yellow is bright against white, it also works perfect for gray, especially if your home is modern in design. A yellow door pops nicely on blue siding, too! If yellow’s not quite your shade, but you still want to go to bold, try purple! Similarly to blue, different hues of purple can work well on many different styles of homes. On brick houses, a light lavender is just bold enough to catch the eye, but not too bold to clash. While a deep-purple (think eggplant) is elegant on Colonials and Craftsmen. Whether you choose to go classic or decide to be daring, it’s never too late to have your home make the right first impression. Remember to choose a color that complements your home and reflects its character, while it also speaks to you. And if you decide you may need the help of a professional, and that renovations are in your homes near future, you can contact your friends at DBS Remodel—When Cleanliness, Politeness, & Trust Matter!